We are open every day during this time. This means more time for you and your family to be surrounded by the wonders of the underwater world. Buy your ticket online to skip the queues! We are open every day during this time. This means more time for you and your family to be surrounded by the wonders of the underwater world. From 17 December to 6 January, our face-painting fairy will be taking up residence in our foyer to decorate your kids' faces with all things fishy, festive and fun! 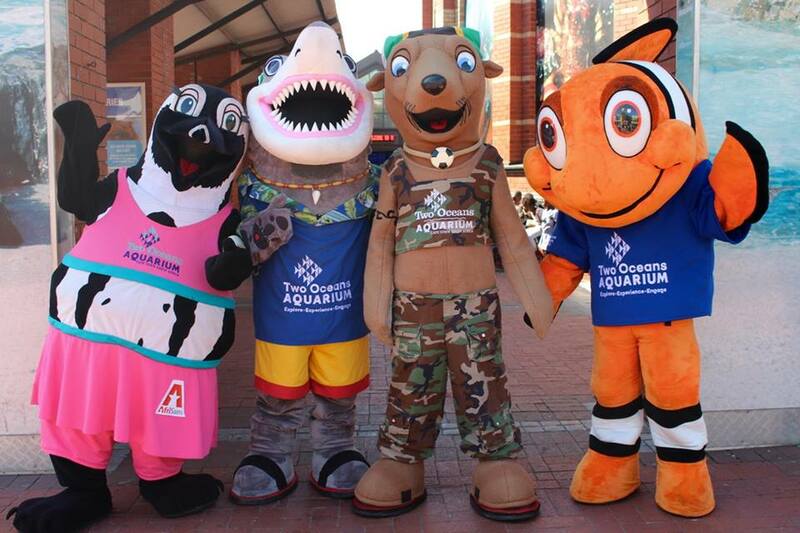 The Aquarium mascots will be all over the building during the festive season - feel free to take your family photo with them. The mascots don't bite (not even Silver the Shark)! Not only will be the Aquarium be open for longer each day, but you will also have the opportunity to take some time out in front of the Predator Exhibit. That’s right! The sharks have been wowing young and old, and they are joined by schools of giant kob, Cape yellowtail and a very special newcomer - an ocean sunfish! For an extra-special experience, be sure to visit during feeding time on Sundays at 15:00. 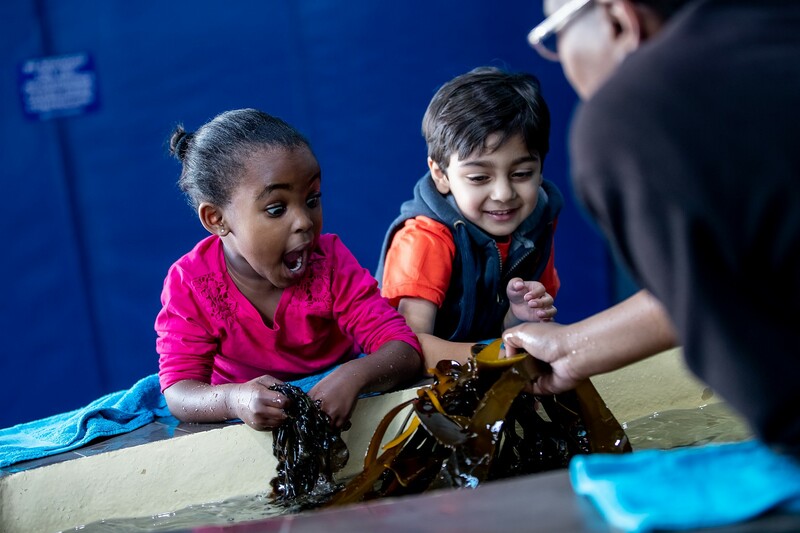 Kids of all ages can get hands-on at the Skretting Touch Pool - touch a starfish, seaweed, chitons and even a sea anemone and learn about their lifestyles from our volunteers. Get up close and personal with the ocean's microscopic inhabitants at the Skretting Microscope Exhibit. We've opened several new interactive displays: Learn all about South Africa's most treasured living fossil - the coelacanth, or find out about sea turtles and their cool quirks with some new interactive activities at our Turtle Wall. You can also explore South Africa's brand new marine protected areas in the Diversity Gallery (near the entrance to the Jelly Gallery). 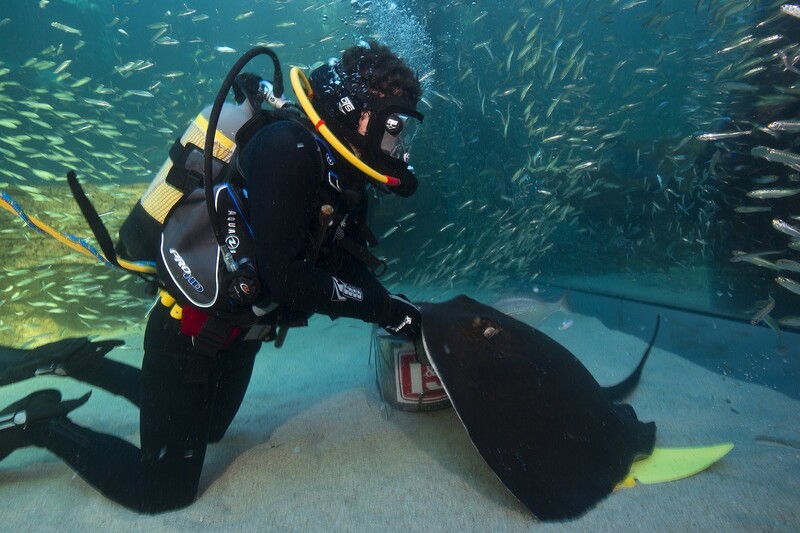 Every day a diver feeds the rays and turtles in the I&J Ocean Exhibit at 12:00. 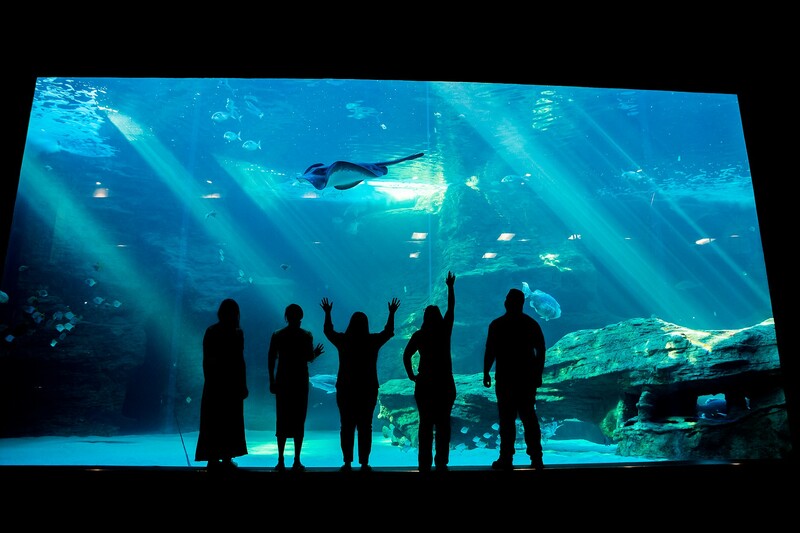 At 14:00 every day, the fish in the I&J Ocean Exhibit receive a surface feed. During both these feeds a presenter provides insights and valuable information to those who have gathered to watch - that's right, our divers can talk to you from underwater! Want to get up close and personal with a penguin? 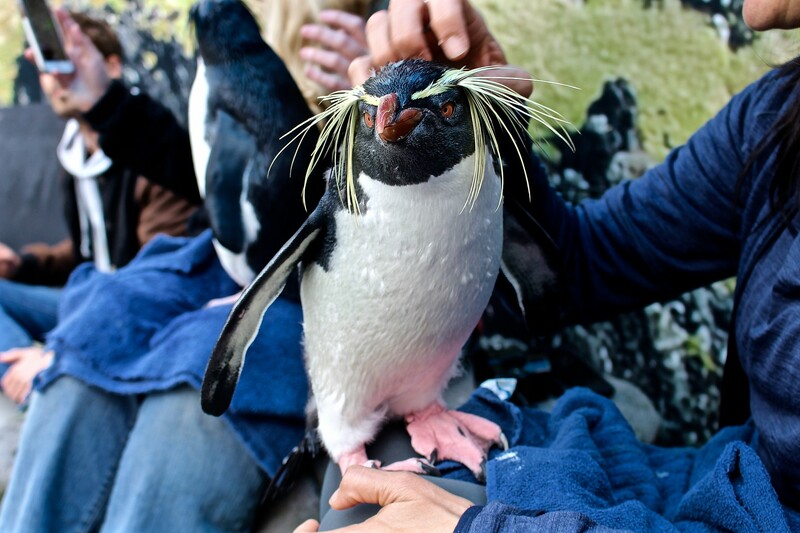 Penguin Experiences offer you the opportunity to meet our adorable rockhopper penguins (booking essential) - and contribute to our conservation fund. The Aquarium’s I&J Children’s Play Centre will have a jam-packed festive season programme on offer - little ones can enjoy themed arts and crafts and the ever-popular puppet shows. 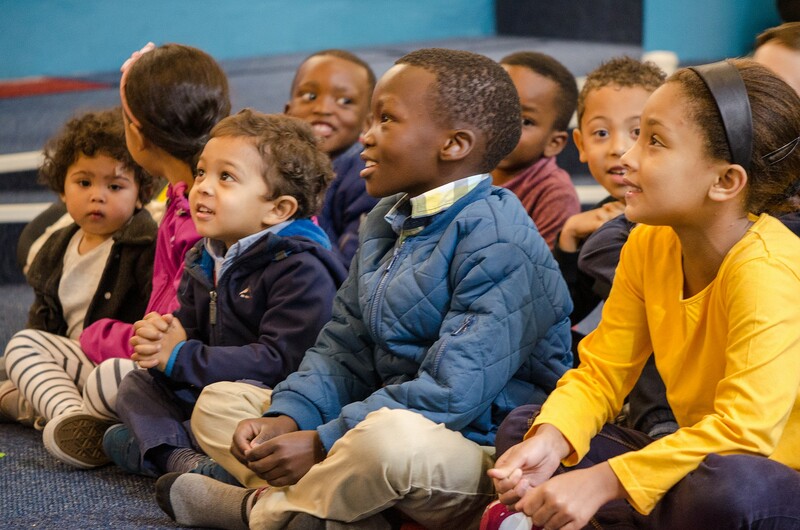 Take a breather, parents - sit back and watch as the little ones play and tap into their creativity. Scuba Claus is also here to help you pick some great last-minute gifts for your friends and family. 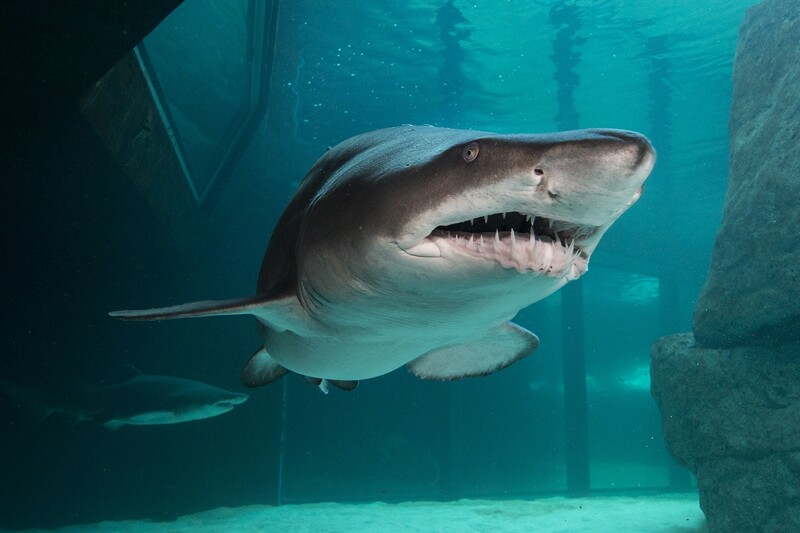 A Two Oceans Aquarium annual membership provides many hours of exploration of our incredible underwater world as members enjoy unlimited visits to the Aquarium from the day they join. Book a scuba dive. Yes, even a complete newbie can dive in the I&J Ocean Exhibit. Take home a kid's gift from our Puppet Stories range - children's books, hand puppets and puzzles. Finding the perfect gift is never easy - why not give a wonderful experience which not only provides adventure but is sure to create memories for years to come? The Aquarium’s website has a wealth of information - plan your visit, buy discounted tickets, book a dive (yes you can dive in the I&J Ocean Exhibit), purchase a membership (as a gift or for yourself) or donate to the Aquarium’s conservation efforts.